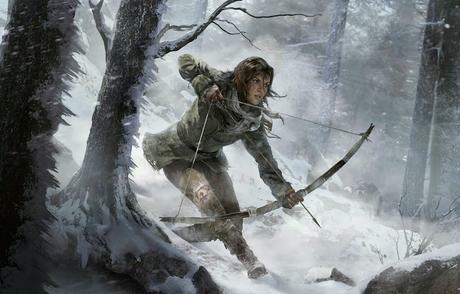 Microsoft’s Aaron Greenberg explains why Rise of the Tomb Raider could still hold its own vs. Fallout 4. Making things even more challenging, Rise of the Tomb Raider is releasing on the same day as Fallout 4. Microsoft knowns there’s plenty of competition, but remains confident the game will do well in spite of it. “The challenge is that you have to look at the production schedule. You want to make sure that you don’t rush the game so that it’s not done or of high quality. That is always the number one priority,” Xbox’s head of marketing Aaron Greenberg told KindaFunnyGames. “The challenge with Tomb Raider is if you go a week later you’re against Star Wars Battlefront, if you go a week earlier you’ll be against Call of Duty Black Ops 3 and if you go two weeks earlier you’re against Halo. “And then you go late and then you’re like well, the consumer doesn’t have any money left to buy the game so there wasn’t a better scenario for us except that was the week it was not going head to head against Call of Duty or Star Wars Battlefront. We felt like the Fallout audience-they are not direct competitors per-se, but you are right, it’s two big, big titles launching at the same time and we hope people will buy both. Fallout 4 and Rise of the Tomb Raider are both out November 10.